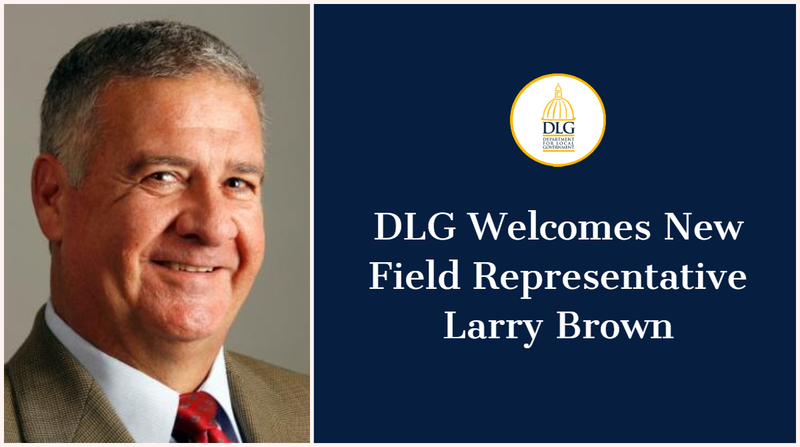 FRANKFORT, Ky. (December 6, 2018) – The Department for Local Government (DLG) has named Larry Brown as a new field representative. In his new position, Brown will maintain a regular presence in 14 Kentucky counties, attending events and meeting with local officials on behalf of Gov. Matt Bevin and DLG Commissioner Sandra K. Dunahoo. Brown will serve the following counties: Boone, Campbell, Carroll, Franklin, Gallatin, Grant, Harrison, Henry, Kenton, Oldham, Owen, Pendleton, Scott and Trimble. Prior to joining DLG, Brown served as the commissioner of the Department for Professional Licensing, within the Public Protection Cabinet. In this capacity, Brown oversaw 28,000 licensees and more than 25 different professional boards across the Commonwealth. Brown brings to DLG extensive experience in the public sector, having also served on the Boone County Planning Commission before being elected to the Florence City Council. During his time in public office, Brown represented the City of Florence on the OKI Regional Council of Governments, which oversees federal transportation funding for 13 counties and all Northern Kentucky cities. He also enjoyed a 40-year career in the life and health insurance business. A graduate of Northern Kentucky State College (now Northern Kentucky University), Brown holds a Bachelor of Science in Business Administration, as well as a Chartered Life Underwriter designation from American College. Brown lives in Florence with his wife, Bunny. He has two children, now grown, who also live in Northern Kentucky. He is also involved in Northern Kentucky’s soccer community, having served on the Kentucky Soccer Referee Association committee overseeing District One referees, and he assigned referees for the Kentucky High School Athletic Association’s eighth, ninth and 10th regions. He currently represents Adult District One on Kentucky’s Adult State Soccer Association board. The Department for Local Government is an arm of the Office of the Governor dedicated to supporting local officials and communities. For more information, visit dlg.ky.gov.